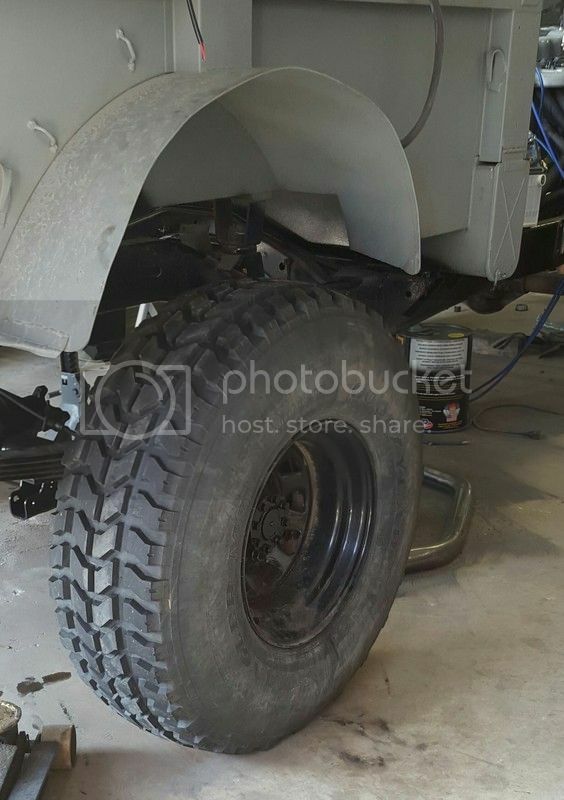 JK... but really... Love to see how the Ford Dana 60 looks in SOA... you going way larger tires now to fill the wheel wells so it doesn't look wierd with "tiny" tires on it? 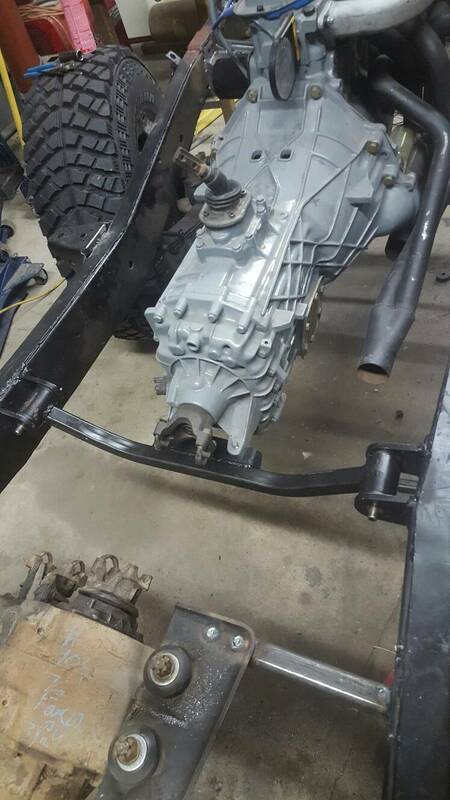 I'm keeping SUA with my Ford Dana 60.. but alot of modification to do so. OK, Here are a few shots I clicked off today. Very nice. 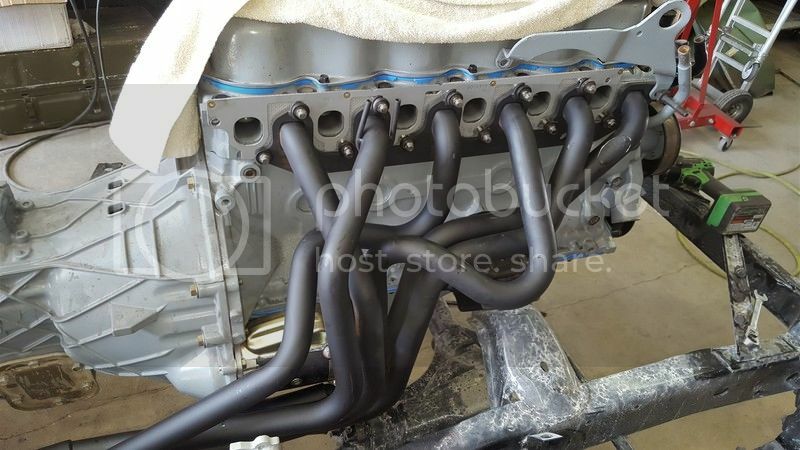 Been a while since I've seen I6 headers. I got the engine started! Sounds awesome with open headers!!! Spent time last week setting up the gears for the rear D60. Used the old bearings and honed them out to hand fit for set up pieces. 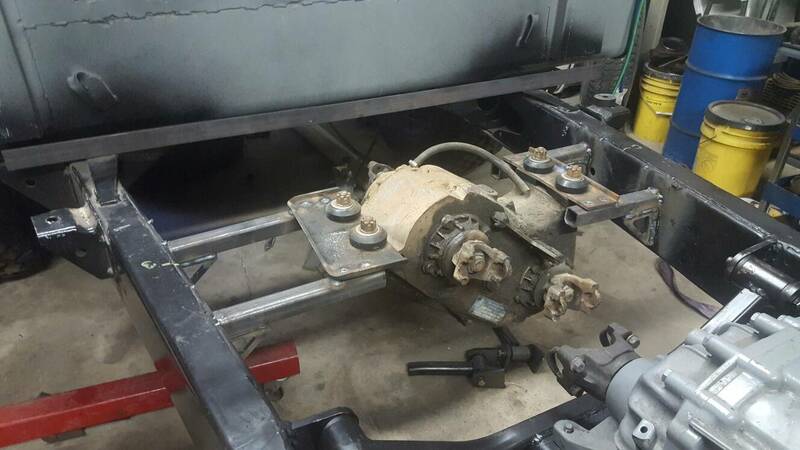 When I finally got the shims right, I pressed on the new bearings and will swing the axle under the truck today. It's got a Dana Trac-loc in the rear and I re-built the diff. replaced the clutches, side gears and spyders. 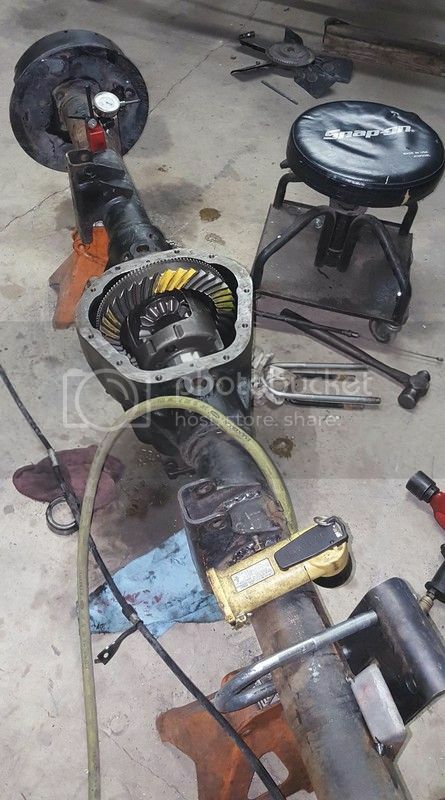 I upgraded the internals to 35 spline and bought new, 35 spline, axle shafts for it. 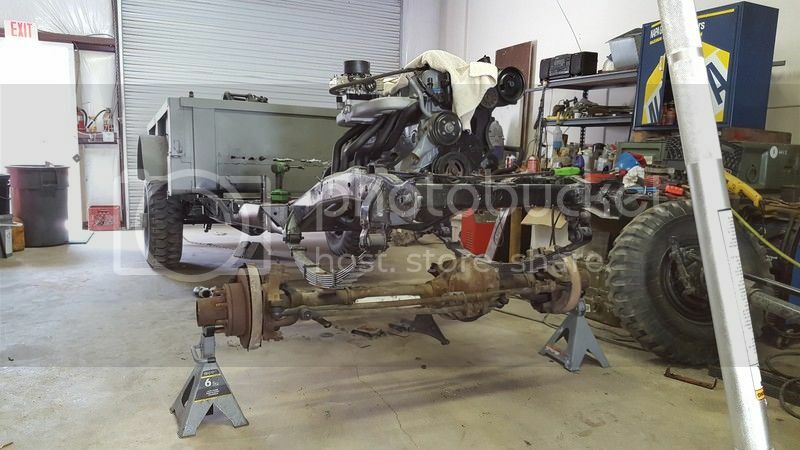 Plan on starting the front axle build next week. OK, about 3 weeks ago, Casey and I pulled the D-60 from under the rear of the 715 and sat it on jackstands. He thought I had lost my mind by pulling it but, I assured him it was for the best. We took the housing outside and de-greased and pressure washed the entire thing, inside and out. 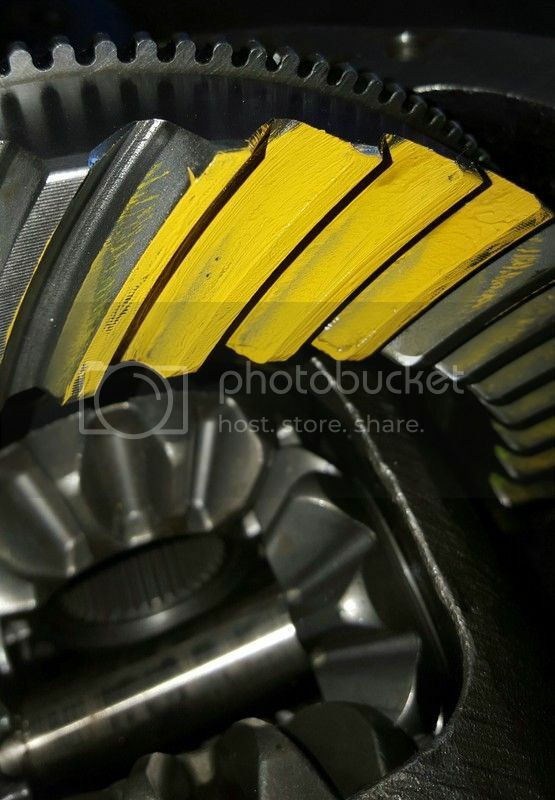 With the housing back inside and on jackstands, I spent several hours clearancing old bearings to use as set-up parts. We used a Saturday and the fun began!!! After about 15 installs and removals of both the pinion and carrier assembly I finally got the gears to print in the right place and got the backlash at .004”. It finally came together and looked real good. Set-up bearings were removed and new bearings, races and seals installed. 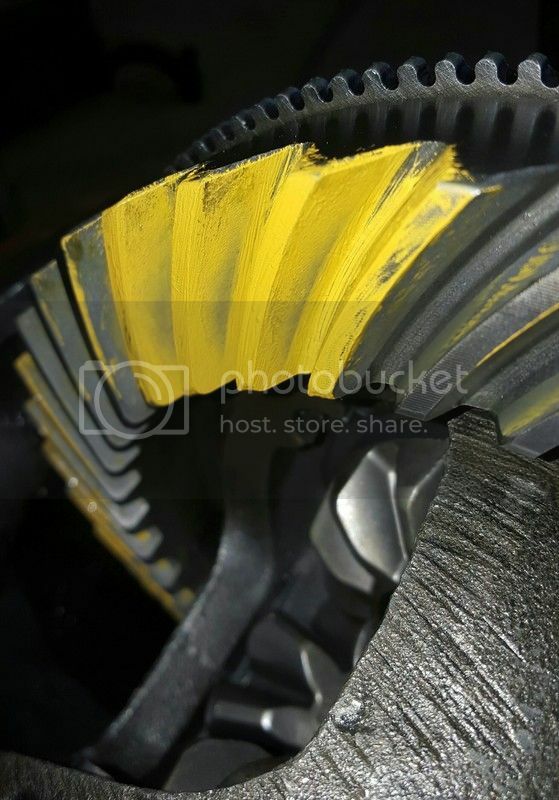 After building and installing the axle hubs, it got filled with gear oil and friction modifier then buttoned up. The axles were measured and cut to length then installed with handmade gaskets. We stuffed in back under the truck after pulling the springs and doing a shackle flip. The axle was then pulled up to the springs with new ORD U-bolts and torqued to spec. 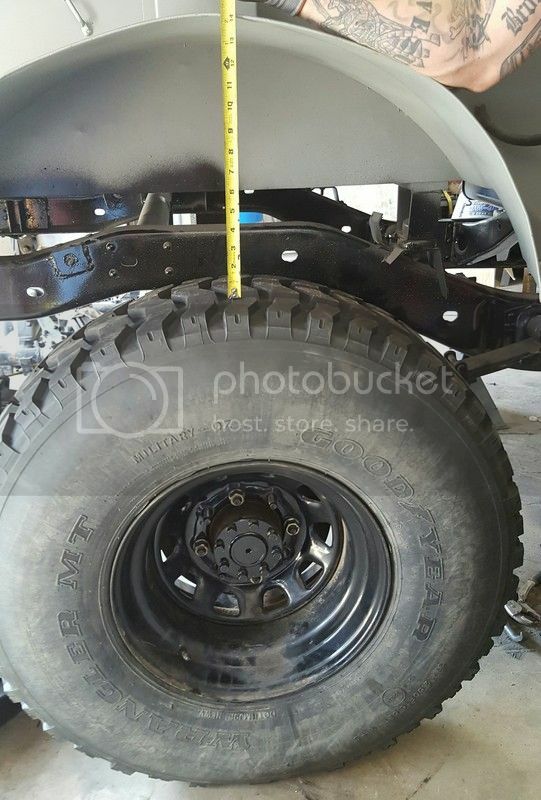 Here is what it looks like with 37’s on 16.5 X 9.5 with 4” back spacing. We used the spare tire from his CUCV for sizing. After finding firewall interference with the engine sitting on the stock mounts I pulled it along with the trans and T case, sliced all the mounts off the frame and started over. The engine was lowered about 4" and moved forward right at 2". This Ford 300 is linger than the tornado. With everything out. We sat the cab in-place the loaded the engine/transmission and decided where we wanted it located. Building engine mounts and trans crossmember came next. All tacked in place. 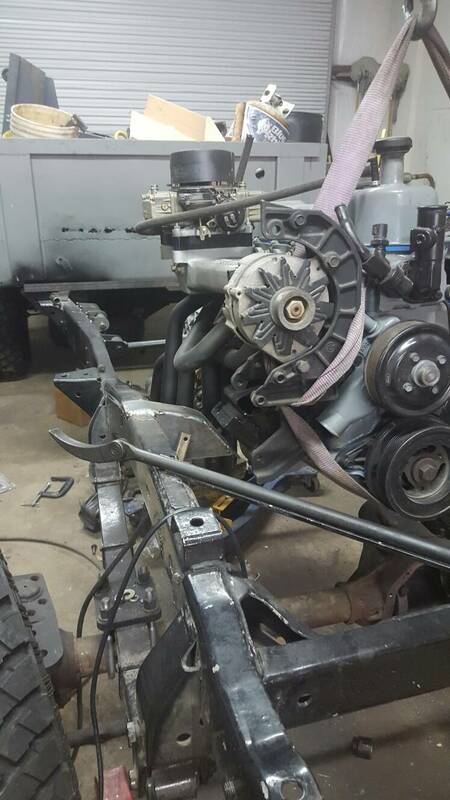 We pulled the cab, eng./ trans and welded it all. Primed and painted. I started new mounts for the NP205 and will get that located and welded in this afternoon. You picked just about the best time of year around here to be welding too. Lowered the engine mounts further. Built a new trans crossmember and got the T-case mounted!